Rad was more than a tremendous pitcher. He was a pioneer. Here is a quick tip of the cap to, and acceptance of, the bird flipped our way by the legendary gent who’s namesake was the inspiration for this blog. Here is the man in all his glory, Old Hoss Radbourn in a Boston team photo on Opening Day, 1886, giving the finger to the cameraman. This is the first known photo to showcase the gesture. Way to go ‘Ol Hoss! 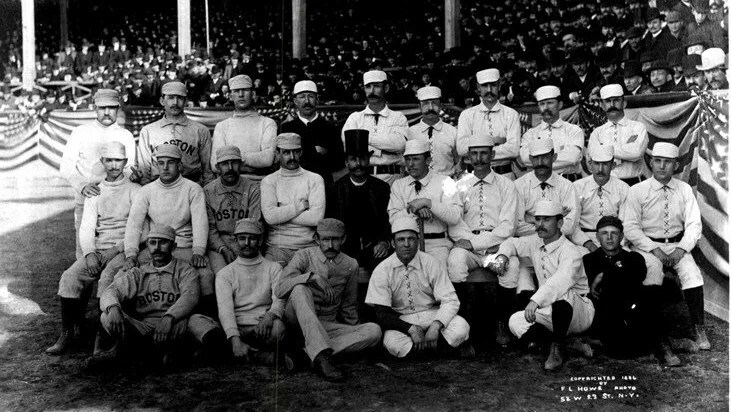 Old Hoss Radbourn, back row, far left, flipping the bird. The first known photo to show the gesture.